The Serious Compact Light is small but powerful. Just 45cm tall and with a 12cm diameter base, it is the perfect reading companion when space is at a premium. In order to get your FREE Serious Compact Light first make a note of the code on the advert. When ordering a Serious Light, at the checkout enter the code and your FREE Serious Compact Light will be added to your order. If you prefer to order over the phone then quote the code. *Offer valid when purchasing any Serious light, £99 or above. Cannot be used in conjunction with any other offers. There really is no risk in our 30 Day Trial. We want you to love the difference our lights make to your life, so we deliberately make it easy for you to swap or return a light. That said, 98 in every 100 customer prefer to keep their lights than go back to reading without it as they do make such a difference. Do you sometimes find detail a little more difficult to see these days? The natural aging process will not stop, so there seems little point in waiting to restore your lost vision. Act now to get it back by shedding a better light. These days we spend more of our time inside our homes under artificial light, coping with adverse effects such as eye strain, headaches and tiredness. 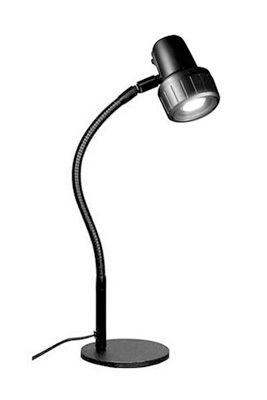 A great reading light will provide instant relief, allowing you to read in more comfort. Every light purchase qualifies for a 30 day risk-free trial. This means that if you're not totally happy with your light we will refund the full amount, including delivery charges, and will come and collect the light at no cost to you. All High Definition, Alex and Classic Lights are built by hand in Great Britain and delivered fully assembled. No flat pack misery. No tools needed. Just plug them in and read without delay. In order to get your FREE Serious Compact Light first make a note of the code on the advert. When ordering a Serious Light, at the checkout enter the code and your FREE Serious Compact Light will be added to your order. If you prefer to order over the phone then quote the code.